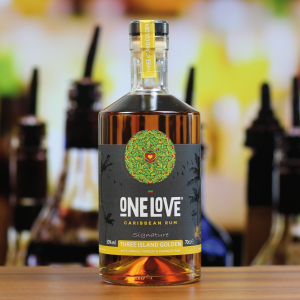 View basket “ONE LOVE Coconut & Pineapple 37.5% ABV 70cl (OLD BRANDING)” has been added to your basket. A Supreme blend of Caribbean rum from Jamaica, Trinidad, Barbados, Cuba & Hispaniola (Dominican Republic) bottled at 43% ABV. The rums are barrel aged up to three years. Whilst each brings their own uniqueness and characteristics they all blend perfectly. Select tropical spices are added to produce a spirit drink of supreme quality, heady aroma and deliciousness. The best spiced rum you will ever taste! Sending as a gift? Send directly to them and include a personalised message on a bottleneck tag for no extra charge, just add your message to the customer notes at the time of check out. All orders will be sent by Royal Mail recorded delivery and can take 2-3 working days to arrive. Please ensure you leave 4 days before contacting us if your order hasn’t arrived. Age-verification is required on checkout and a signature of an adult required upon delivery. We reserve the right to cancel/refund any order we believe to be from someone underage. We reserve the right to ask for I.D if we can’t verify your age by using the name and/or email address provided and searching via social media profiles and electrol roles. 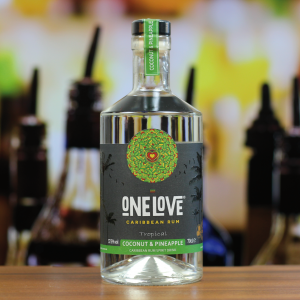 Copyright © 2016 -2019 One Love Rum Company. All Rights Reserved. One Love® is a registered trademark.